This post originally featured on our sister site barcelonaanalysis.com, which provides the most comprehensive tactical analysis from the Spanish giants. The Dutch production line never sleeps and the latest generation of super talents is the definite proof of that thesis. Although the Netherlands has experienced a couple of setbacks over the years and their success on the international stage has somewhat diminished, their young prodigies are about to set the world ablaze. Frenkie de Jong, a 21-year old midfielder leads the line as he is already approached by most of the biggest European teams who look to secure his signature. If the media is to be believed, Barcelona are (still) in the driving seat as the Catalan capital is the dream destination for this Dutch wunderkind but just who exactly is Frenkie de Jong and what kind of a player is he? Central midfielder? Defensive midfielder? Or even a centre-back? 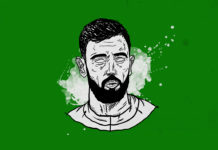 In this tactical analysis, we will try to determine what some of his strengths and weaknesses are, along with statistics, in order to discover what makes him so special and appealing to almost every titan of the footballing stage. 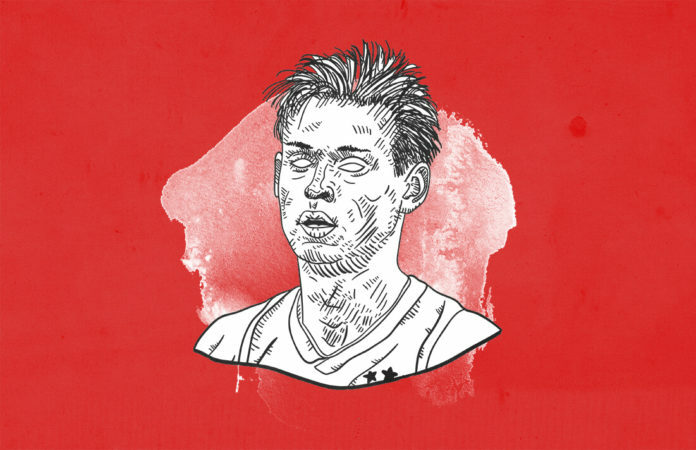 Frenkie de Jong is a unique player, what for his talent, skill or confidence in such a young age but mostly because he is one of those footballers who is not tied to a single position on the pitch. At this point, you could put Frenkie anywhere on the field and his one of a kind skillset would probably let him adapt and eventually master his new role. Still, as of this moment, de Jong has been played all over midfield and in the backline for Ajax. Last season, the Dutch titan has preferred two system to all others: 4-2-3-1 and 4-3-3. The former is the clear favourite this season, with it being used a large total of 84 % of the time, while the latter was preferred last season with a high percentage of 72. With some of the new players arriving at the club, Frenkie has been tasked to (mostly) occupy the deep-lying positions, either in midfield or all the way in the back. He does thrive on that left side of the pitch, where he is most effective and where he spends most of his time. This season alone, he has been active in five different positions: CB, RCB, DM, LDM, and RDM, with the one of a defensive midfielder (either side) being the most prominent one (61 %, 11 out of 18 games). Overall, his positioning throughout his career can be tracked down to four positions: CB (14 %), DM (20 %), LCM (13 %) and RCM (27 %). Although a player of such potential is bound to join a big(ger) club in the future, Barcelona’s interest, in particular, comes as no surprise at all. Seeing how they do need a long-term replacement for Sergio Busquets, as he is the only clearcut defensive midfielder in the team, and Frenkie being an absolute monster on the ball, this seems to be like a match made in heaven. Funnily enough, de Jong’s most prominent trait is not his passing, even though the Catalan side takes that stat as the most important one. The thing that really stands out when it comes to his skill set is actually his dribbling. Only last season, Frenkie completed 54 out of 58 dribblings which resulted in an unreal rate of 3.12 successful ones per 90 minutes played. When we take a look at his overall career dribbling, it still stays incredibly high at 87.1 % (3.64 per game). Just a side note: Lionel Messi, who is the best dribbler on the planet, sits on 81 % but with a much larger sample of attempted dribbles with 11.45 per game. Still, being compared with Leo when it comes to dribbling is already a huge success. What’s even more encouraging is the fact that he does this everywhere and with more or less the same result. The percentage of successful dribbles remains high up, as can be seen in the chart below. Stats can also be a bit misleading when it comes to dribbling because the way the system works is that only situations that include a 1 versus 1 duel can be categorised as “dribblings”. Frenkie wins more than half of his duels with 53 % (19.82 per game) overall and the highest going as far as 85 %. But still, even with this fact under his belt, the system will more often than not fail to register actions that include bursting in-between two or even three players to win space or set up a play. Surprisingly enough, his dribbling and on the ball prowess is actually best demonstrated when he plays the role of a defender or a “false centre-back”. 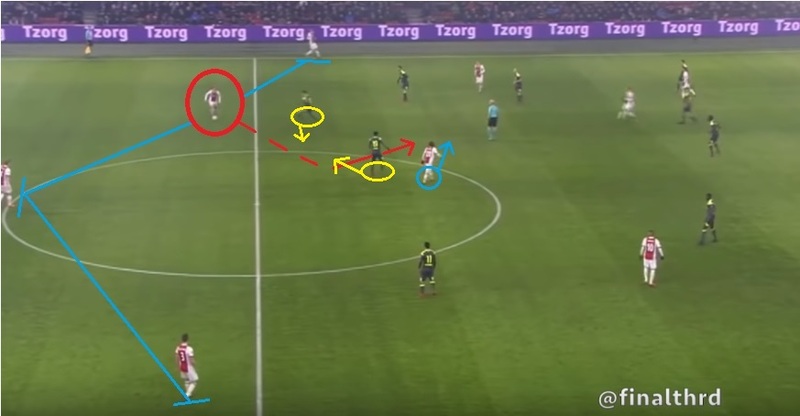 When deploying the 4-3-3 formation with de Jong playing the role of a CB, the fullbacks would not overlap but they would spread the field, freeing Frenkie to press higher up the pitch, become this hybrid of a defensive midfielder and defender (hence the name of “false centre-back or a libero) and orchestrate the play. Here, Frenkie receives the ball, relieved off any pressure, and decides to pull the trigger and make a run forward, beating his man, and then making a line-breaking pass to find his teammate, who is now, thanks to de Jong, completely unmarked. This “dismarking” is one of his more prominent traits that can often be seen in his play. This doesn’t change, and is apparent in the centre-back and the midfield position. Ajax do change their tactics depending on de Jong’s positioning in that specific point in time. This has come to fruition due to some new players arriving at the club, most notably, Daley Blind from Manchester United in the late summer transfer window. Instead of maintaining his ball-carrying role in the CB position, this season has also seen him transition to a left half-space to which he moves from the DM one. 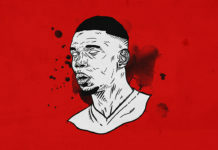 Their left-back would move a bit higher up the pitch, hugging the centre of the pitch, allowing de Jong to drop slightly deeper and position himself right behind him. This gives him the freedom to pass the ball in (at least) three different directions: to the right, horizontally, to either de Ligt/ Blind, forward, vertically, to his left back or toward the middle of the pitch, diagonally, to one of the midfielders opening up for space, which can also be seen in the picture above. Although we mentioned that his passing is not his top skill, it is still pretty impressive. The fact that he finished last season as Eredivisie’s top passer (92.9 %) is proof enough. Overall, he sends a total of 66.49 passes per game, completing an average of 91.7 % of those. His long passes are also at a relatively high 65.7 %, but the fact that he hit a total of 32 key passes last season is no joke. This means that he makes 1.45 key passes per 90 minutes played and that was when he was playing as a centre-back! Just for comparison’s sake, that is twice as much as any other defender in Eredivisie. This results in 79.5 % completed actions and an average total of 94.31. When we say that Frenkie de Jong feels no pressure we really, really mean it. Although he is just 21-years-old, he is brave enough to always face his opponents straight on. We already established that he loves his line-breaking passes but that is just an understatement. Whether he is surrounded by opposing players, cornered or pressed back, he will (almost) always find a solution that sends the ball forward, building an attack from basically nothing. Frenkie’s close control allows him to receive the ball in almost any situation, no matter where he is currently positioned on the pitch. In fact, he thrives on being marked by multiple opponents because that is when he can relieve pressure off of his teammates and send that sweet through pass. Here, he receives the ball when pinned down to the sidelines with a marker on his back. He can use the safe route to his backline but instead, he opts for a slight body-feint, followed by a quick survey of his surroundings to find a pass to a free player (now) not too far away from him. 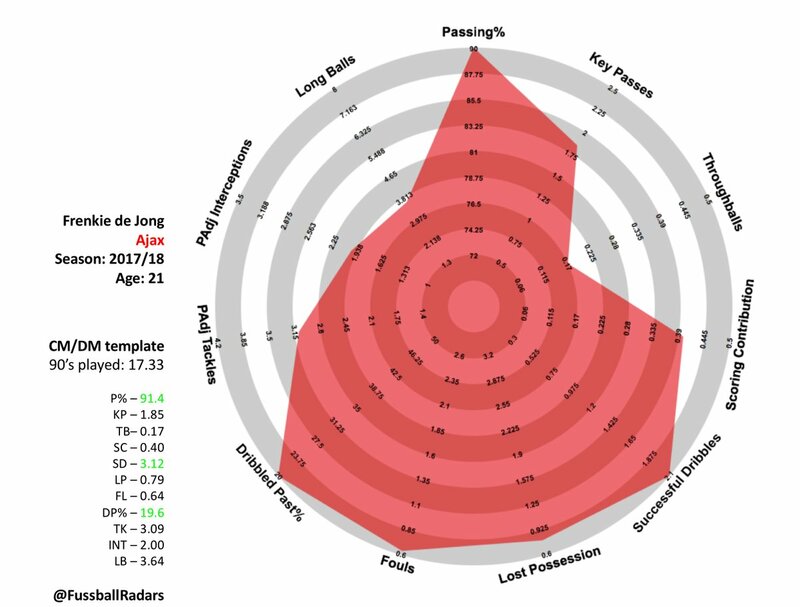 This season he loses a meagre 0.5 balls per game in Eredivisie, making him a “fairly” reliable person to pass to. What makes Frenkie de Jong such a complete player is the fact that his abilities on the ball are, as huge as they might be, completely matched by his off the ball movement and football IQ. We often use this term “football IQ” but not many players can actually say that they have the “footballing brains” to accompany their feet. Still, the principles for de Jong’s movements when off the ball are pretty similar to the ones when he is in possession. It is all about space – creating it for himself and taking it away from his opponents. Here, he sees his teammate driving forward and decides to move slightly to the back in order to get the attention of his marker. This is, again, the “dismarking” we were talking about but this time, Frenkie does it without even touching the ball. The opposition’s player has to choose between closing down the man running towards him or follow Frenkie to the side. He chooses to maintain his position, but in reality, there is no right answer. This move leaves the whole left flank empty for de Jong to exploit, which he successfully does. Another thing that has to be noted, which is also an off the ball category, is his defending. As much as he loves to drive forward, break the lines and take a crucial part in attacking, his defending abilities are equally important (and impressive). He averages a total of 3.56 interceptions (1.1 last season) and retains/ recycles possession effectively. Frenkie recovers the ball an average of 11.03 times (45.1 % in the opposition’s half) with just 7.66 loses of the ball (33.8 % in his own half). This season, his tackling numbers have also been a bit lower, which is normal considering it’s still early days in the league(s): A total of 1.2 successful ones per game is still a good amount in 10 appearances (695 minutes) accompanied with 1.8 clearances. At first glance, there are not really any big weak spots in Frenkie de Jong’s play but when it comes to finishing and/ or assisting, you should not expect him to lead the way. With 0.11 average goals and 0.16 average assists, it is clear that he will do everything but the finishing touches. His nonexistent 0.1 xG is a proof of that. 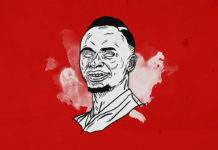 This season he is yet to get a goal or an assist to his name while last season he bagged one (0.08 per game) in the Cup and assisted further nine (0.15 per game) throughout the domestic campaign (One in the Cup and eight in the League). This doesn’t mean, however, that he cannot finish an action if he gets to the right position but getting there is a bigger problem. Frenkie will set things up, but will more likely remain far away from an ideal position to score. 0.79 shots per game just about sums it out with 29.1 % being actually on target. As far as assists go, it’s a similar situation because he is the one who does the “pre-assisting” when he secures a vital part of free space, sends a line-breaking through ball or sets everything in motion two or three moves before the goal happens thus being to key to the goal but not actually making it to the score sheet. The fact that it is so difficult to pinpoint Frenkie de Jong and to completely grasp everything he does on the pitch makes for a great argument why every single big club is waiting in line for his signature. Master on and off the ball, creator, defender, attacker, you name it and he has probably done it. What is actually most frightening is that he is only, 21, which means that his prime is still far away down the line. Managers love players who can play multiple positions, but at the moment, no one really compares to Frenkie de Jong. His numbers are really unbelievable. You could say that the level of competition is not the highest in the Netherlands, but with Ajax now competing in the Champions League once more, Frenkie will have the chance to demonstrate his skills on the biggest club stage of them all. It has to be noted that he achieves these high stats while (mostly) playing in defensive roles. Imagine him higher up the pitch and closer to goal!? Still, it remains to be seen how he will cope with better opposition as a move away from home seems all but sealed. He may not join a new club in January, but a summer transfer is starting to look like an absolute decision, along with his “partner in crime”, Matthijs de Ligt. Frenkie is the future and you better believe the hype, we certainly do.